Lee was recommended to me by one of my friend who was his past pupil. I am incredibly grateful to have enrolled to Lee's LDC Driving School with him. He tailored the lessons to the gaps in my driving knowledge, I cannot emphasis how effective his teaching techniques are. He made me feel comfortable behind the wheel and gave me confidence on the road. 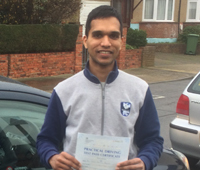 He precisely concentrated my efforts on important aspects UK-style driving, and took extra care in teaching me the driving protocols, skills and techniques to perfect my driving, and as a result, I passed the first time with only 4 minors. 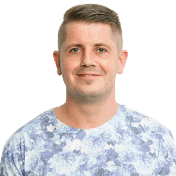 A true professional with an upbeat personality who I would recommend to everyone!.